Photograph of Great Fountain Geyser, Yellowstone National Park, USA Great Fountain Geyser is located in the Lower Geyser Basin on the Firehole Lake Drive. Prior to an eruption Great Fountain's pool slowly fills with water and begins overflowing about 40 minutes prior to an eruption. 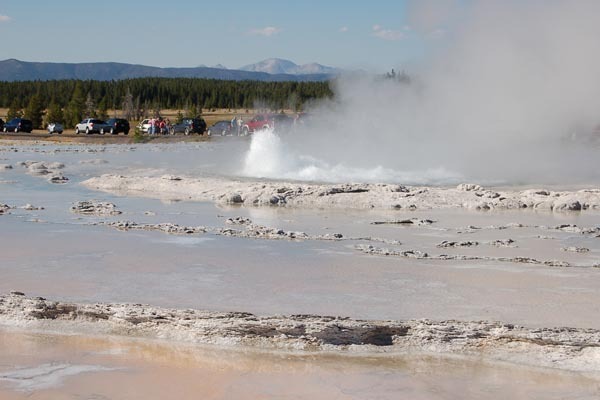 VIEW: More images from the category Great Fountain Geyser, Yellowstone National Park, USA or taken at the same location .